After a summer of reading about the potential revenue generated by conference realignment, and watching school after school negotiate behind the backs of their current conference members one realizes how quickly agendas change in college athletics. Most recently, BYU added to the chaos by declaring its football independence and becoming a member of the West Coast Conference in all other sports. It was less than two years ago that many in higher education, including college athletics, preached about the impact of economic recessions and restraint on spending. Yet, attention to cost cutting measures has been trumped by the appeal of bigger and better conferences and chasing revenue. Perhaps the most recent report by Daniel Fulks will remind us yet again that Division I schools are spending more in an effort to maintain even higher athletic standards, in particular relying on institutional dollars to support growing budgets. The response by some schools has been to pursue larger revenue streams through television, sponsorship and fundraising, rather than remain focused on where to cut. However, the issue of financial sustainability still remains a large problem for most Division I athletic programs due to the fact that the revenue just cannot keep up with expenses. In an effort to not just restate the problems, a dedicated focus on practical, cost cutting solutions appears to be needed. Some of these solutions below have been implemented by athletic departments across the country and rightfully deserve more attention. As discussed in a previous USI post, the issue of transparency will remain at the forefront of college presidents and the NCAA office. In the past, many believed that college athletics has operated in an environment of “secrecy”, even to the point where those working in the industry can be unaware of the financial decisions of their NCAA competitors. Over the last year, Winthrop Intelligence has provided a solution to athletic departments across the country by creating several online databases filled with accurate and timely data specific to Division I athletic programs. Why is this important? Athletic departments can use these data to make sound financial decisions, perhaps saving thousands of dollars on decisions related to coaching contracts, game guarantees, and sponsorship rights. 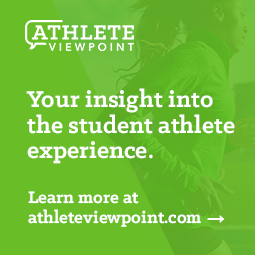 The provision of usable data to athletic directors without the need for wasting time and energy trying to gather old data could be a lifesaver for athletic departments. An article in Athletic Business highlighted one example of a Pac-10 school saving $50,000 on a potential game guarantee. Perhaps even more beneficial is the fact that the database allows a user to not only compare financial data, but go deep into the contracts of coaches, administrators, sponsorship agreements, and game contracts to pull out the details of multi-million dollar decisions. Putting good data in the hands of the athletic director provides much needed leverage for better financial decisions. Other opportunities also exist for the NCAA and athletic departments to continue gathering data by relying on the expertise of scholars to provide analysis, including financial analysis. The financial reports generated by Dr. Fulks has brought several issues to the forefront and allowed professionals to gain a more comprehensive financial picture of Division I athletics; kudos to the NCAA and Dr. Fulks for their on-going work. NCAA research staff members Todd Petr and Thomas Paskus wrote in an article appearing in the Journal of Intercollegiate Sport, "The study of intercollegiate sport is a discipline that would likely benefit substantially from an enhanced commitment to sharing research data." Similar to the business plan of Winthrop Intelligence, these data need to get to the hands of the decision makers. If nothing else, conference realignment and the additional information from the Fulks report has taught us that more schools are in the “have-not” group than perhaps the public may have imagined. As the Big 12 started to break-up, reports surfaced that suggested schools like Kansas, Kansas State and Missouri, were going to be left out because of limited football revenue potential. Imagine a school like Kansas, a major Division I brand, being labeled as “not good enough” or a "have-not". That label, in higher education and particularly in college athletics, can be devastating. Avoiding membership into that category can be a great motivator to administrators, coaches, players, and fans. Just last week supporters at Boise State were asked to dig deeper into their pockets for a new football stadium in order to maintain their position in the Top 25 and avoid the future descent back into mediocrity. Chadd Cripe details Boise State's impressive rise to become one of the best football programs in the country. But, according to the administration, Boise State still falls short financially and thus the request for donations. Is it reasonable to think that donors can support the school’s ambitious future? Is it possible that the donors of Boise State could come together and build a stadium? Sure, but at what point does the well run dry? Financially, the donor base at most Division I schools cannot maintain the pace set by athletic funds at schools like Alabama, Florida and Texas, which annually could bring in close to $15-30 million more than a school like Boise State. The disparity in philanthropic giving to athletics is staggering and one that is very difficult to overcome, and for some reason continues to escape the attention of the public. Maybe it is time to let schools whose donors can consistently raise well over $30,000,000 annually for athletics run free. In July 2009, Boston College athletics director Gene DeFilippo and former Arizona athletics director Jim Livengood stated that "the only way to slow down the arms race in college sports is to do it through NCAA mandated change." However, what major financial changes have been made in that time? Rather than waiting on the NCAA, conferences need to continue cost cutting measures. Conferences offer a manageable number of schools with similar profiles and thus could be the most realistic place where financial control can take place. Asking individual schools to take the lead on spending restrictions could be placing athletic directors and coaches at an unfair competitive advantage, which could cost employees their jobs. The reality is most athletic administrators or coaches are not going to sacrifice something that their competitors still have. This environment has created a helplessness that has made its way to college presidents who have stated that they are limited in their cost controlling role. Ironically, it appears that some presidents are right in the middle of the conference realignment chaos, which could raise more questions about their “powerlessness”. Alone, financial restraint appears impossible, however as a group, perhaps financial control could become possible. It is true that conferences may be put at a disadvantage against other conference schools but the bottom line is that financial restraint needs to happen. Over the past year, conferences have discussed, and in some cases implemented, simple cost cutting measures such as hotel stays for home games, media days, size of coaching staffs and tournament participation and NCAA gifts. These changes, if implemented need to remain; if they are being discussed, they need to be implemented. Frequently the media and the general public focus on the financial data of prominent sports such as football and men's basketball, the perceived cash cows. But all Division I programs, revenue and non-revenue sports, men's and women's, need to be added to the conversation of financial responsibility. At this point, we have too many Division I teams that just cost too much, including basketball and football programs (see recent moves such as the University of New Orleans and Centenary College, reclassification to Division III, as well as Northeastern and Hofstra football programs). Although it would be an unpopular move to reclassify to a lower level division or cut programs or scholarships (legal issues could also arise), it may be a necessity. In a time when tuition continues to rise at a rapid rate and student fees continue to be tapped, a reexamination of all programs (as well as the mandatory Division I requirement for sponsoring 14 sports) needs to be put on the table. Based on the current financial model used by Division I schools (relying on, at best, 2-3 programs generating money, while the other 12+ programs lose money) the pursuit of a sustainable budget is nearly impossible. At some point, schools will just not be able to keep up - maybe now is that point. As Dennis Dodd reminded us last year, "It [the business model] works at Ohio State and Texas. It doesn't at New Mexico State, Florida International and most everywhere else." Even through all of the glamour of conference realignment, most Division I schools and conferences need to remain focused on reducing expenses, spending wisely and establishing long term projects that are grounded in good financial security. Although the article does not establish any groundbreaking ideas, it can serve as a gentle reminder that the goal of economic stability for most remains on the expense side.